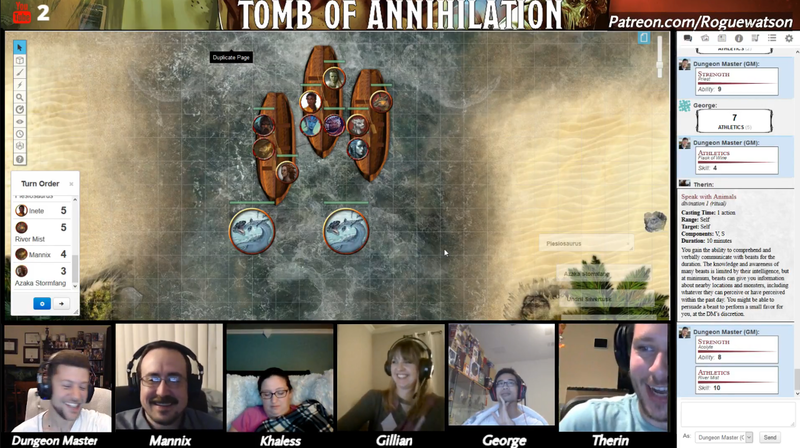 Our official excursion into the jungles of Chult finally began this week with Session 9, though it was hampered a bit due to some connection issues with YouTube and some problems with Roll20. We are nothing if not adapt at dealing with technical adversity, however, so after a delayed start we finally kicked off our adventure. First things first – leveling up! 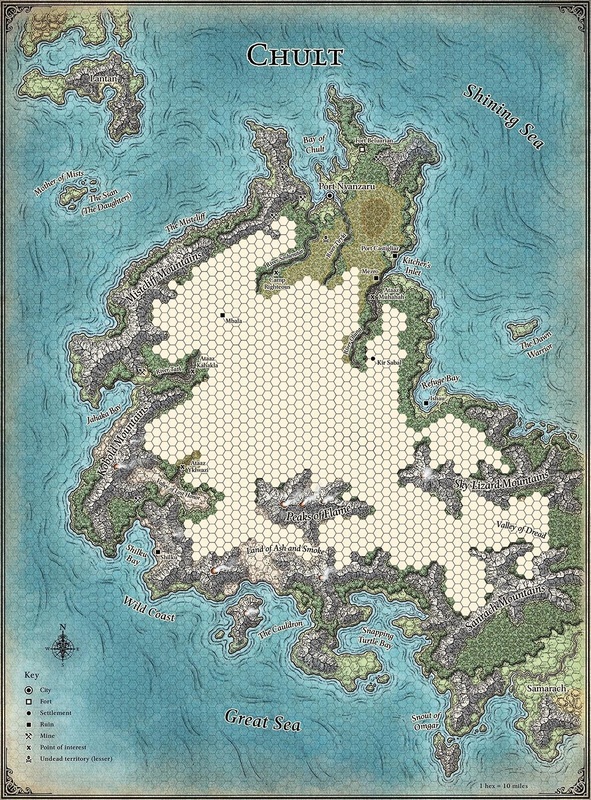 My poor players have been level 2 for a very long time, far longer than our previous campaigns (in a stark contrast, by the time we reached our 9th session of Storm King’s Thunder, we were level 4!). They may not have fought a whole lot of baddies but they certainly accomplished much in their time in Port Nyanzaru, and the timing worked out well. My PCs will be far less squishy for the trials ahead. Level 3 is a big level for most classes (oddly, level 2 was the big level for our druid, so he’d been doing just fine!). George went Battle Master, because it’s still far and away the most interesting and fun Fighter archetype, taking Parry, Feinting Attack, and Precision Attack. Our two rogues took diverging paths as expedited. Khaless went Assassin, giving her a huge attack and damage bonus on the first round, while Mannix went with Inquistive making him an even bigger skill monkey. Therin and Gillian got access to level 2 spells, granting them Barkskin, Pass without Trace, and Enhance Ability. Gilliain also took up the College of Whispers, which surprised me as I thought Glamour fit her character concept. Instead she’s going down a darker, more offensive-oriented road, with a nifty ability that is essentially the bard’s version of Divine Smite. We then spent a good chunk of the session doing some shopping, which isn’t terribly exciting but is definitely necessary when leaving the only city in the campaign. Better armor, weapons, and various supplies were purchased, as well as three canoes for traveling on the river. The PCs then picked up their rather large group of NPC allies: Undril, Inete, and the guides Azaka and River Mist and Flask of Wine, bringing the total adventuring troupe up to 10! The party decided to go down the River Soshenstar, as I expected. Camp Righteous is the first destination, though they promised Azaka they would cross the jungle and head over to Firefinger next. Camp Righteous is about a week’s worth of travel by canoe. After paddling down the beech toward the mouth of the river, they came across a pair of plesiosaurus devouring some kind of big marine animal. The beasts thought the newcomers looked like dessert and charged underwater. Roll for initiative! What followed was the worst series of skill check attempts we’ve ever seen. It takes a DC 13 Athletics check to get the canoes to safety and out of the large creatures’ wrath. Despite 10 (!) people rolling the check, NONE of them could succeed, with most rolling less than 10. The charging beasts made it to the canoes within a single round, but the party still had another round before things got ugly. Gillian used her Triton-powered Gust of Wind ability to knock one backwards, while George leapt into the water, shortswords ready to make some sushi out of the second. Khaless was able to roll her boat to safety in the second round and her and the others took ranged potshots while George dealt with the creature head on. My one attack hit very hard, but George did a great job employing all of his Superiority die to withstand the assault. Therin used Speak with Animals to try and reason with the creatures. The one locked in combat with George (and pelted with arrows) wasn’t interested in listening, but the one knocked back by the wind tunnel decided to retreat, especially after watching George brutally land the killing blow on its partner. The party enjoyed some grilled plesiosaurus burgers that evening as they camped out in the jungle, ready to set off the next day.